LIVEPLAN REVIEW Is it Really Worth it? One of the most important aspects of starting a business can also be the most tedious: the business plan. We all know it’s important, but we don’t always know where to get started. That’s where the option for using LivePlan comes in. It’s a cloud-based business plan software that walks you through the entire planning process. With video tutorials and examples at each section, LivePlan helps you write a solid plan in half the time. In this LivePlan review you’ll discover what sets them apart, take a look at an example plan, and more. By the end I’m confident you’ll know if LivePlan is the best business plan software for you. If you’d like to try LivePlan yourself, here’s an exclusive 50% off LivePlan promo code offered to our readers. You’ll have 60 days of risk free planning with their 100% money back guarantee. Enjoy! You don’t need prior experience with professional business planning because the software’s designed for startups and entrepreneurs who don’t have the time or budget for collegiate-style planning. LivePlan’s user-friendly website makes it easy to focus and build presentation-ready plans. Also because it’s cloud-based, your data’s kept safe and 100% accessible. They provide 10 elegant and fully-customizable template themes you can brand so your plan looks amazing in presentations with investors, potential partners, lending institutions, etc. Easily import financial data from other platforms like QuickBooks and Xero…a big time-saver that gives you the peace of mind everything is importing correctly. With an annual subscription, you get access to tons of legal forms, fantastic educational ebooks and even an employee handbook template. Their system is set up so the more features you add, the less it costs, which is awesome. LivePlan sports a great suite of collaboration tools for you and your team members. For example, LivePlan locks any section a team member is working on to prevent two users from editing the same section at the same time. You have to be connected to the Internet to use LivePlan. Cloud-based computing does still have its downsides. While you can develop more than one business plan, there is no way to copy an existing plan. If it feels like LivePlan is the right choice, start to plan, pitch and track your business with it today. And if you end up not liking it as much as we do, just ask for a refund within 60 days. It would be tough for LivePlan’s pricing to get any more straightforward – you can pay as you go at $19.95/month, or purchase an annual subscription for $11.66/month (billed annually for about $139). Not bad for $0.38/day. Plus, if you choose the monthly plan you can leverage our exclusive LivePlan promo code for 50% off your first month. Go with whichever plan you feel most comfortable with. Either way, you have 60 days to try the software and explore everything it’s capable of. Brand logo followed by your elevator pitch. Nuggets of market data: demographics, approach, solution and competition. The little section that introduces funding needs is a nice touch. Sales channels and marketing activities pitches. Financial Projections: Revenue, Expenses and Profit. Finally, we’ve got your key milestones, team setup and management, and resources. Feel free to fill yours out with as much information as you want, but keep in mind that the first page should be a sharp, potent summary. Now let’s look at some of the analytic capabilities through LivePlan’s “ScoreBoard” section within your dashboard. This incredibly helpful feature maps all of your financial trends in one place. You can easily swap between the current fiscal year or your forecast models, track revenue and expenses, cash flow, accounts receivable — the list just goes on. Granted this is just a tip of the iceberg of LivePlan features, but our favorites for getting a clean and effective plan built as quick as possible. What LivePlan review would be complete without customer testimonials? Below is a sampling of the huge growing reservoir of feedback from happy users. We didn’t cherry-pick either, as you’ll see on Shopper Approved, a 3rd-party customer review site where LivePlan scores a 4.8/5. As you can see there’s some serious value on the table here that isn’t adding to your plate, just helping you better manage, prioritize, and present a business plan. In regard to the non-5 star reviews, the main issue people are having is the overall cost of LivePlan, which is understandable if you’re starting a business on a budget. What Businesses Does LivePlan Work With? 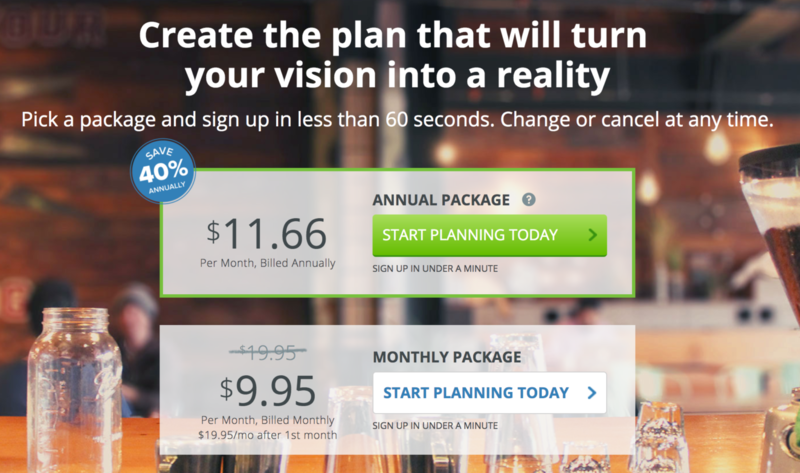 LivePlan boasts over 500 sample plans, covering just about every business type imaginable. From mom-and-pops to larger corporations, from freelancers to nonprofit entities, LivePlan really does cover every possible base. There are up-charges for premium features like the ability to simultaneously edit multiple business plans. But, LivePlan clearly communicates these from the get-go. Also, most people probably won’t need them because they’re working on one plan at a time. Within the first 60 days, if you decide you’d rather not use LivePlan after all contact them via their app, by email or by phone. They’ll cancel your account and refund your money, no questions asked. LivePlan customer support is surprisingly responsive. Use the site’s live-chat option or give them a call on their toll-free line. LivePlan is about as secure as it gets. Your business plan — and all of the information within — is entirely confidential. All credit card transactions get bank-level encryption treatment. Also, your account and plan are both backed up to the cloud every few seconds, so there’s no chance you’ll ever lose any work. Around here we’re huge fans – it helped me get Startup Savant off the ground. 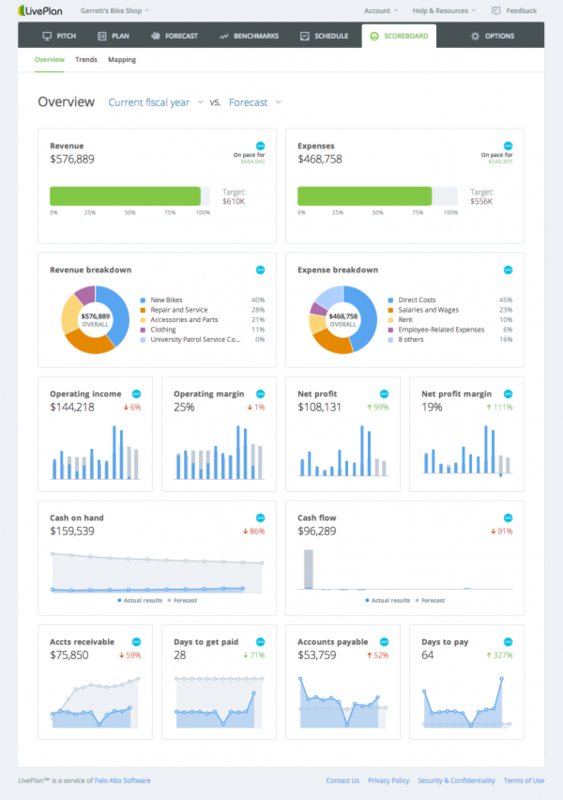 Being able to take our core data and translate it into a beautiful presentation-ready business plan that’s refined and customizable was a lifesaver in so many ways. Try it 60 days risk-free. If you don’t like it, ask for a refund.